Australian home of the transcontinent Kawasaki 1000GTR and 1400GTR motorcycles. FarRiders™ was conceived and founded by GTR-AUS founder, David (Davo) Jones. The link at the top right is our tribute. GTR-AUS was founded in July 2003 by David (Davo) Jones and is based in Australia. GTR-AUS originally began life as a free online forum focused on the Kawasaki GTR1000. 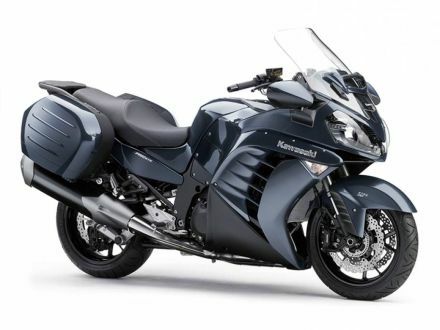 The forum is still free and members freely provide online information and resources for riders and owners of this Kawasaki model of motorcycle. Over time GTR-AUS has evolved to become a motorcycling group. When the 1000GTR was superceded in late 2007 by the 1400GTR, GTR-AUS and the forum became the place to ask questions, discuss issues, buy and sell, to learn and share information about the Kawasaki GTR series of motorcycles. As before, our focus is on the GTR and the enjoyment that owning and riding this fine motorcycle brings. Our GTR-AUS forum is a lively place and registration is free. We guarantee to never, ever, ever filling your Inbox with SPAM or any other kind of un-solicited junk! GTR-AUS is an Australian based motorcycle group and is primarily an online networking resource for all Kawasaki GTR motorcycle owners and riders. GTR-AUS is administered by a very dedicated team of volunteers and the forum has a very active member base. With the breadth of knowledge gleaned since the first A1 and garnered from real world experience adding to the depth of know how, our members keenly share information, solutions, links we have a whole host of help readily at hand. Just ask! An annual meet has been held since the inception of GTR-AUS by the founder "Davo" Jones. The annual meet is a fanastic way for members to get together and socialize, put faces to names and to share our common passion for this great marque. At the meet, members in attendance toss around a few ideas and select the location for the next meet. The members present vote for a location or two that will get the nod for next annual meet. Then all members will have 12 months to discuss, plot and plan for the upcoming meet. The annual meeting is usually held in September or October. See our forum for details. Click on any picture below to start the slide gallery.